Phuket Bungy Jump is great if you are into extreme sports and want to experience the ultimate adrenaline rush while on holiday in Phuket. So if your in need of an adrenalin rush and want to try bungy jumping in Phuket, your in luck as there are two bungy jumps that operate in Phuket. 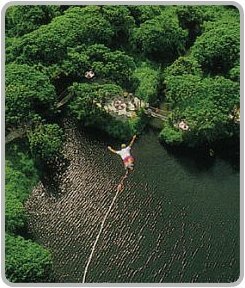 Jungle Bungy Jump has been operating in Phuket since 1992 and operates to New Zealand safety standards. The jump site is located over a jungle lagoon that was once a former tin mining site. The height of the jump is 50 meters or 165 ft. 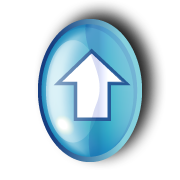 There is a selection of different of jumps in which you can take. Whether it be the standard bungy jump, a tandem, a catapult, a backwards bungy or if you want to be dipped in the water type of jump. The Jungle Bungy Jump is located in Wichitsongkram Rd, Kathu only 10 minutes from Patong Beach and near the go-kart track. The price of the Bungy Jump starts at 2,200 baht up to 3,300 baht depending on what extras you want to buy such as digital photos or a DVD movie. If you pay 3,300 baht you will get a second jump free of charge. All prices include a shirt, certificate and most importantly insurance. You can book direct or send a message to our friends at Easy Day Thailand to help you with your booking. Jungle Bungy Jump are open 7 days a week from 9.00am until 6.00pm. World Bungy Jump is apparently the highest bungy jump in Southern Thailand at 60 metres or 197 ft. 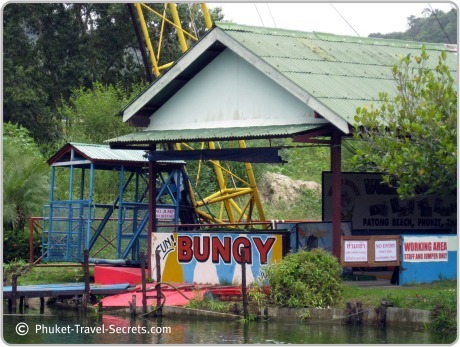 This Bungy Jump is situated in a park with some other attractions including a Thai boxing stadium and a fish park. Unfortunately on our last trip we called past and the park was looking slightly run down. This jump is located at Patong Park; just 2 minutes from Patong Beach in Soi Kebsap 2, Sai Nam Yen Rd Patong. The World Phuket bungy jump is open daily from 9.30am to 6.30pm. Thai boxing matches are held every Monday and Thursday night from 9.00pm. If you are looking for thrills and excitement on your holiday try a Phuket Bungy Jump. Before you decide which of the two companies to use, please do your own research and read reviews from other travellers before booking your jump and ensure that the company you use has insurance.